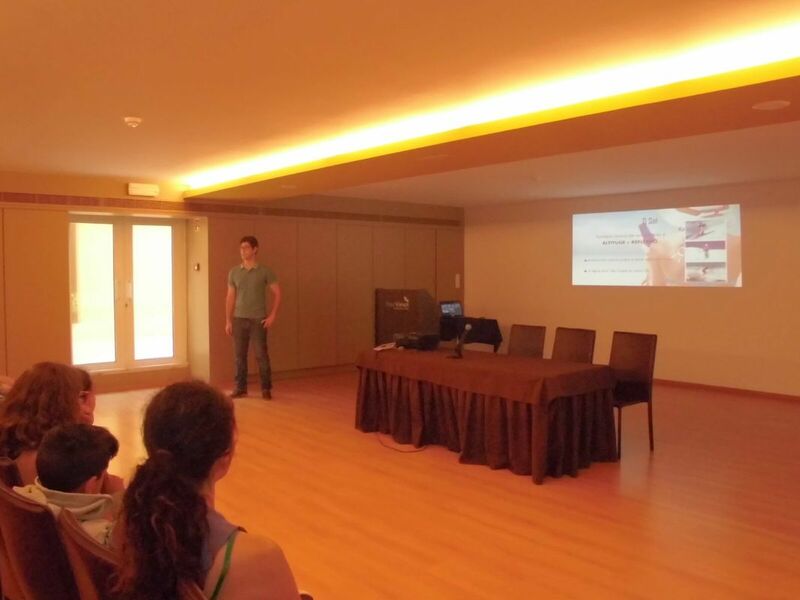 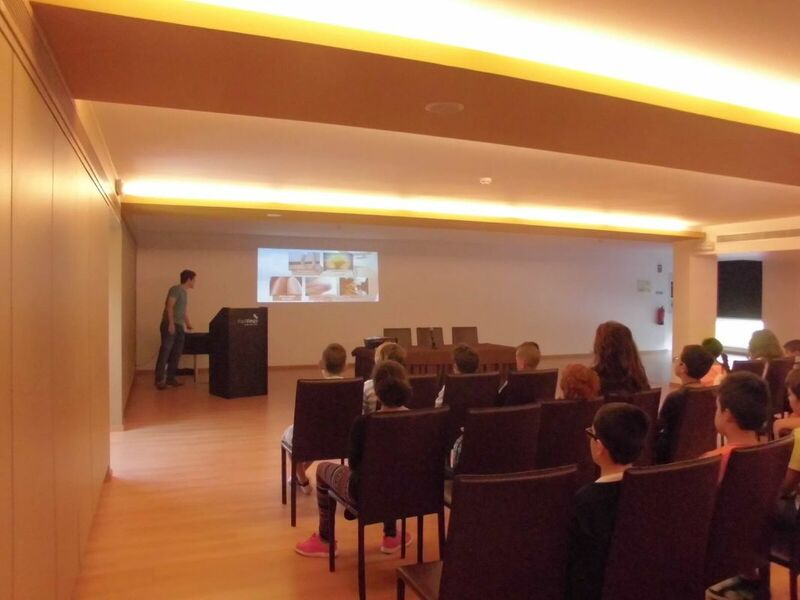 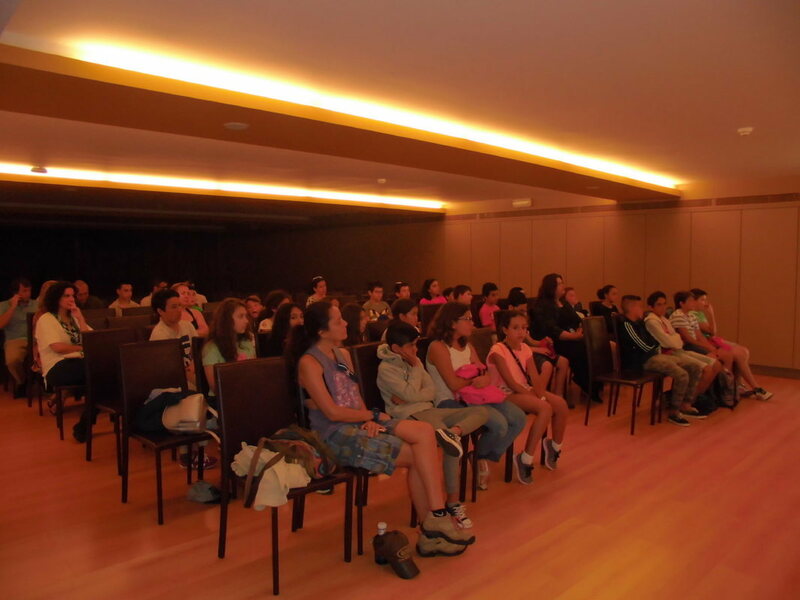 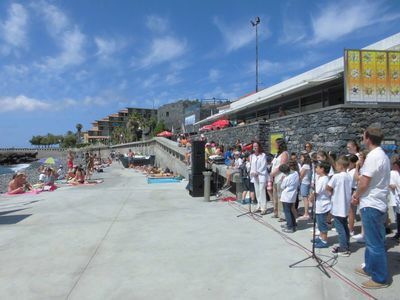 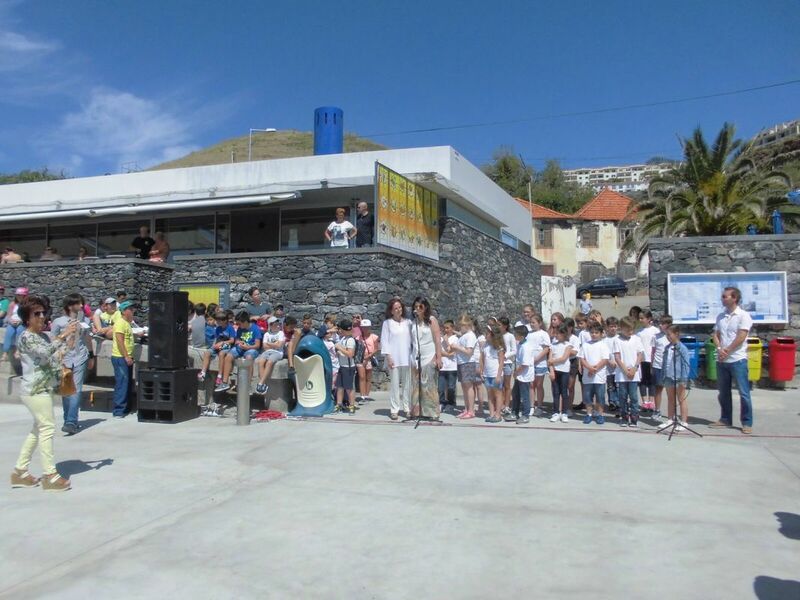 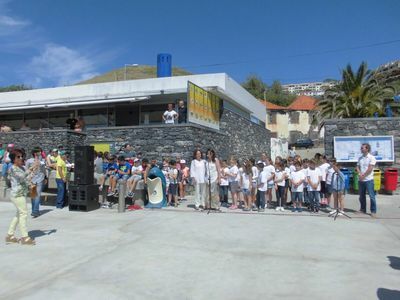 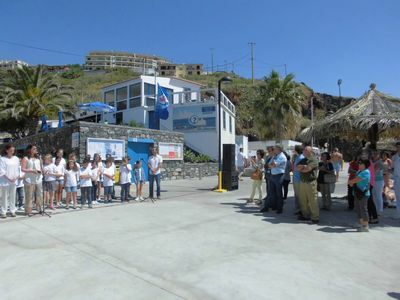 This June (2017), our school, the Escola Básica do 2º e 3º Ciclos do Caniço and our main partner, the Four Views Oasis Hotel, promoted another environmental education action in the Reis Magos beach (Wise Man Beach). 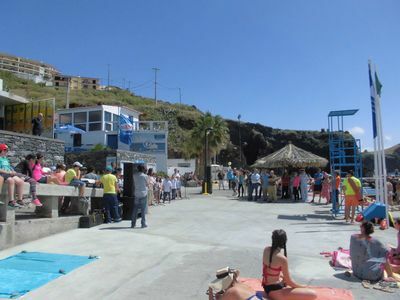 Once again, our long-time partners since the patronage of the beach cooperated. 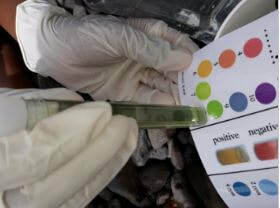 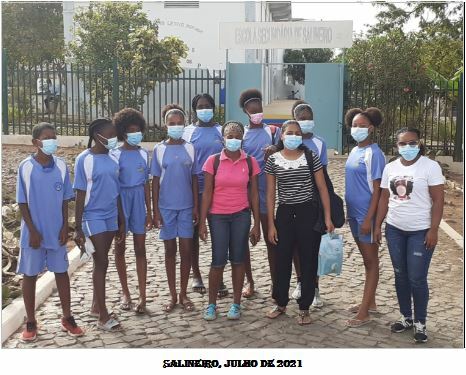 We still had the collaboration of several institutions, such as Parents Association, the City Council of Santa Cruz, the Parish Council, the Institute of Forests and Nature Conservation and the Caniço Pharmacy. 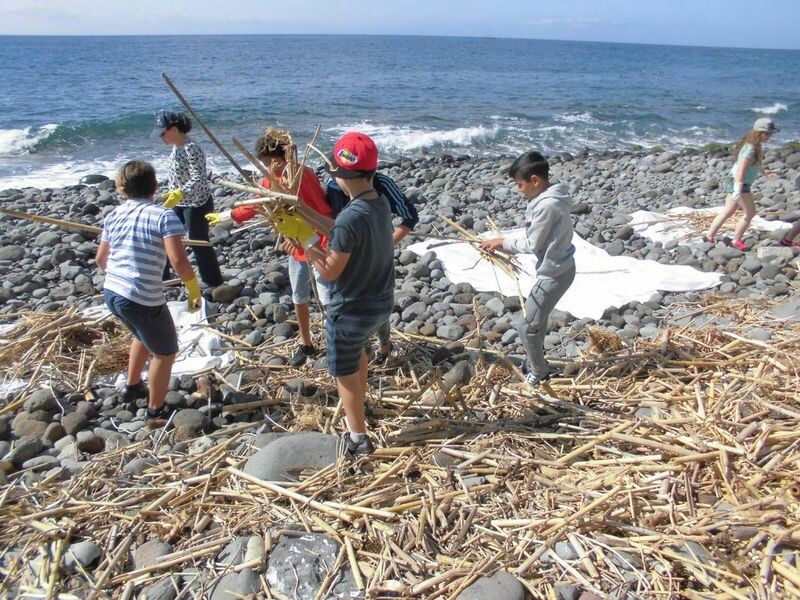 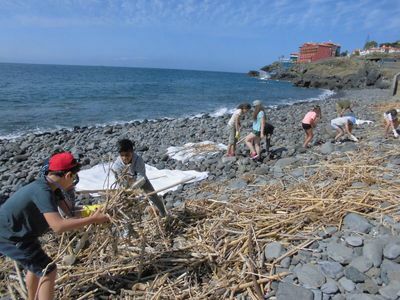 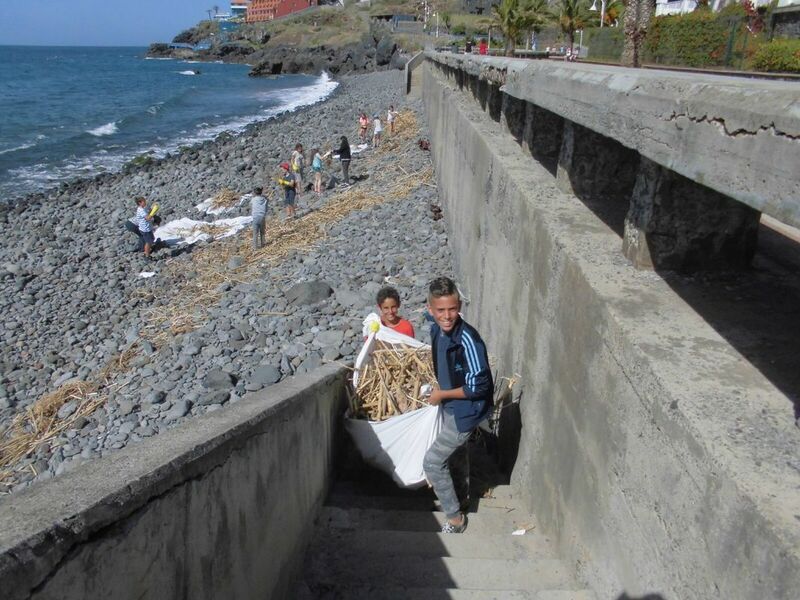 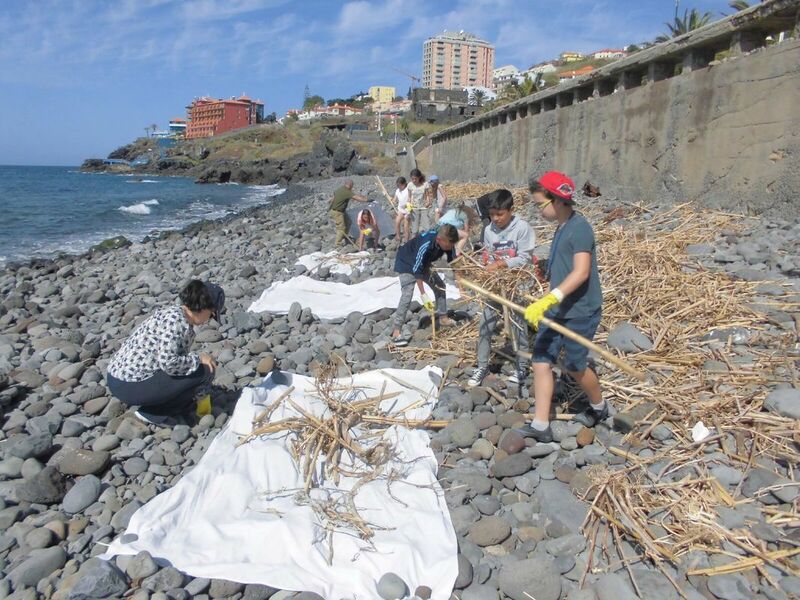 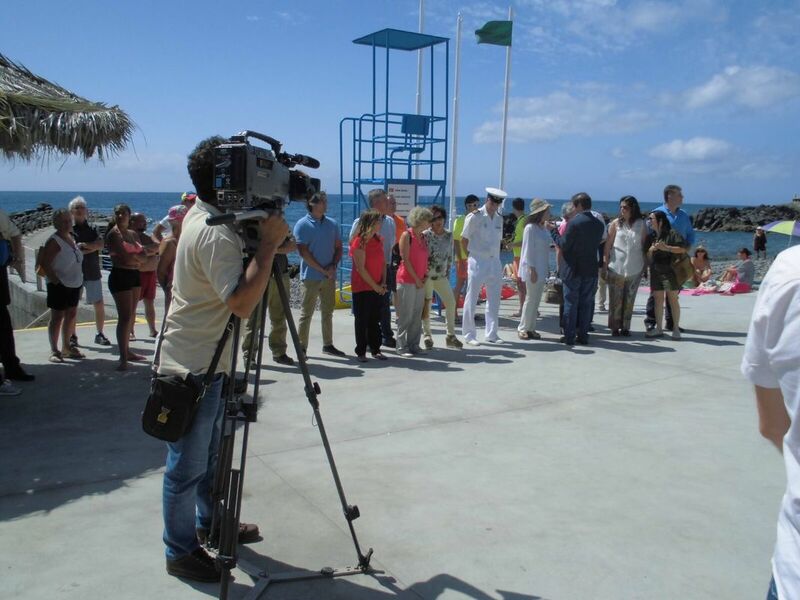 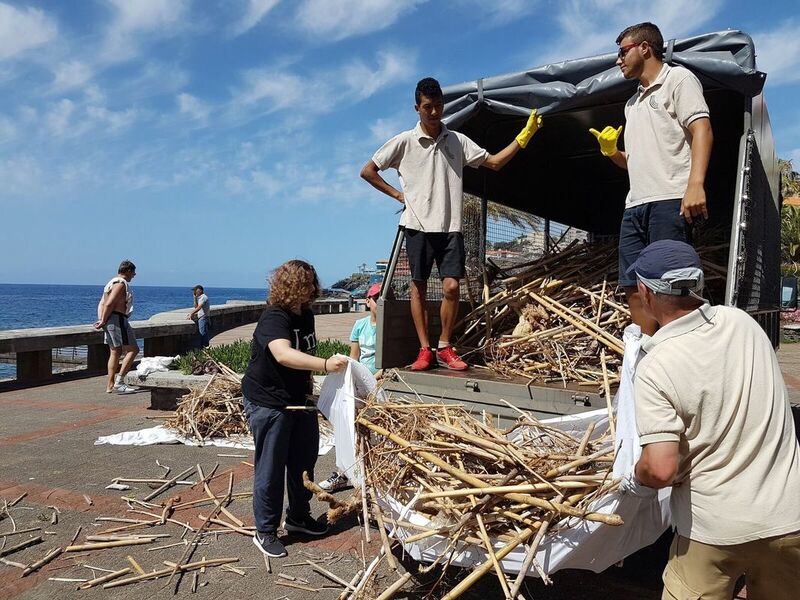 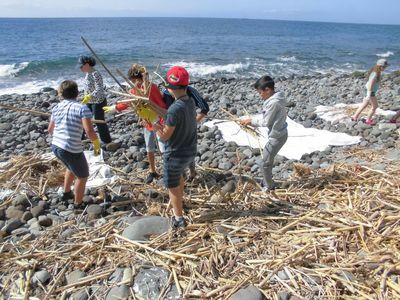 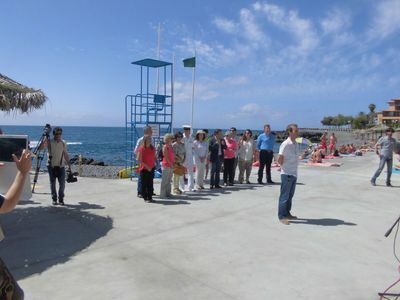 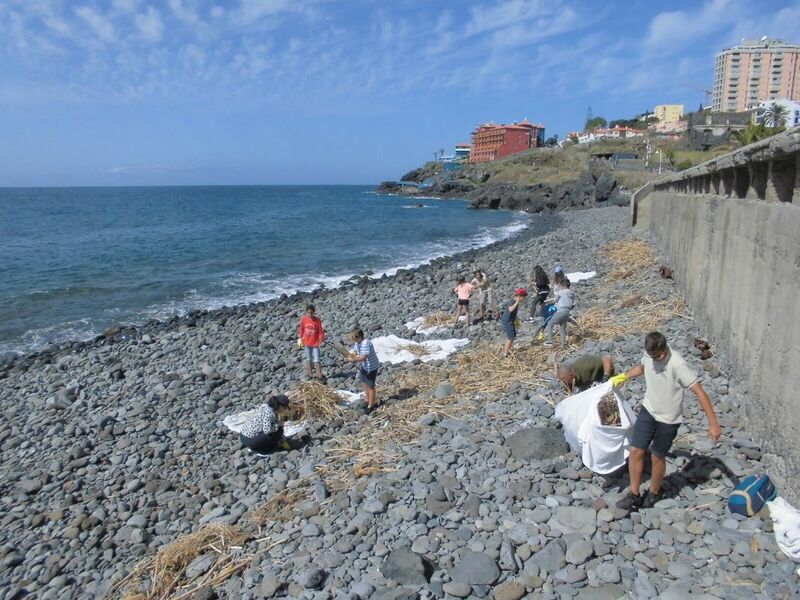 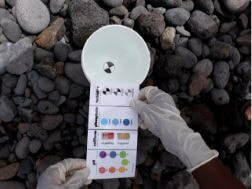 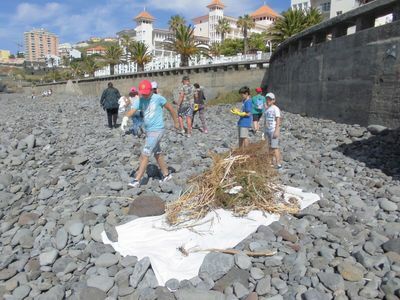 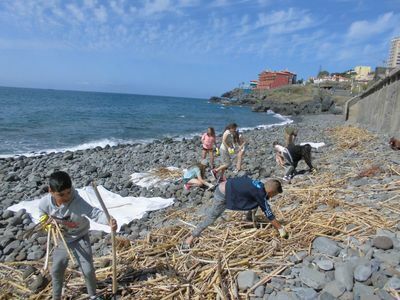 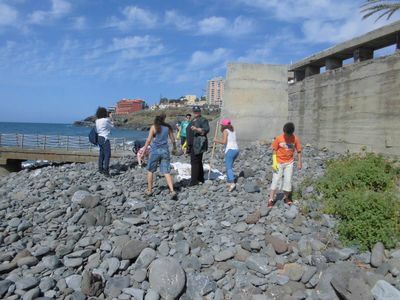 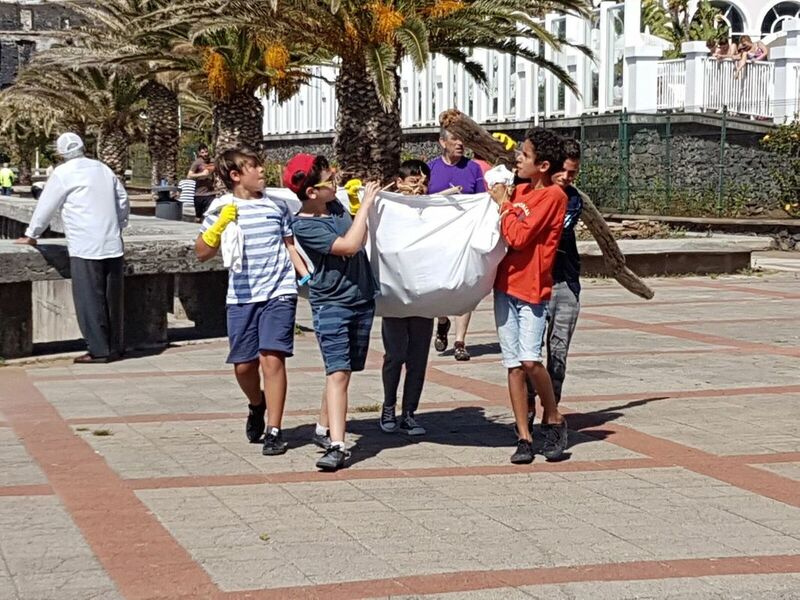 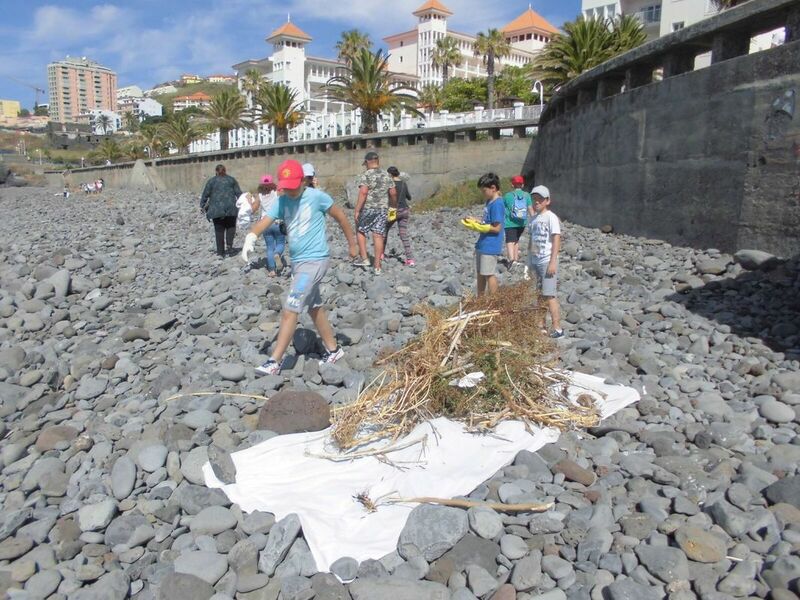 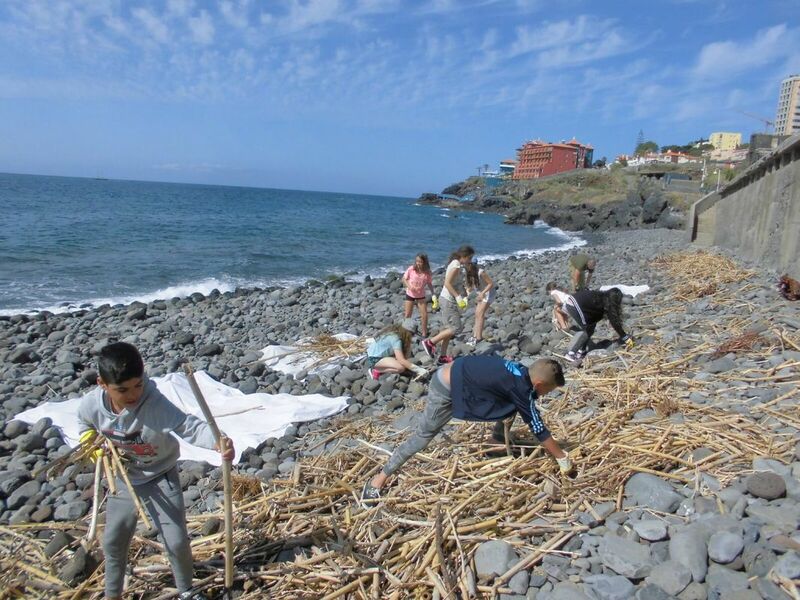 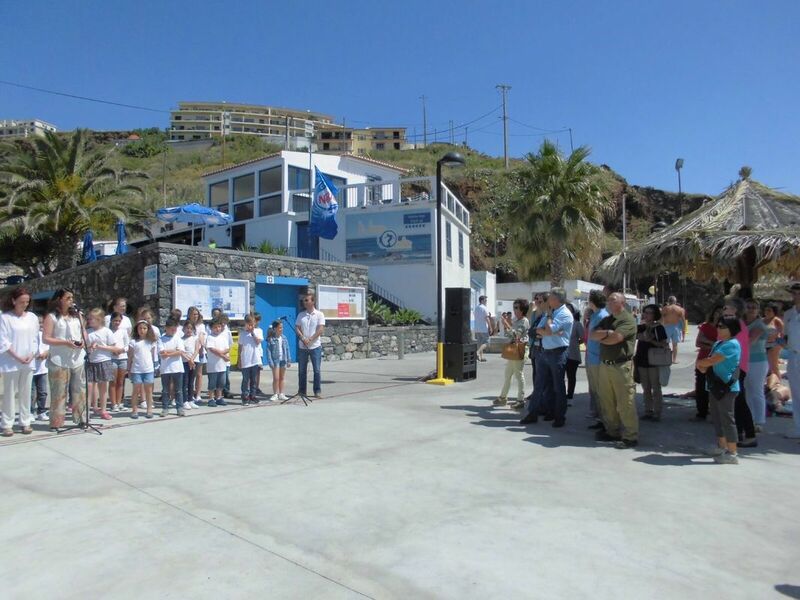 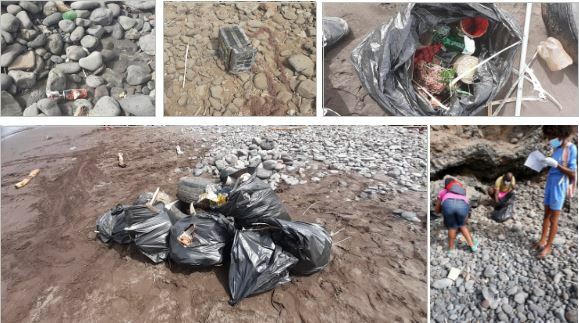 The initiative was held on Friday, the 16th, with 29 students from Project 5+, who, after receiving lectures on the dangers of sun exposure and the life of the sea lion, cleaned the beach. 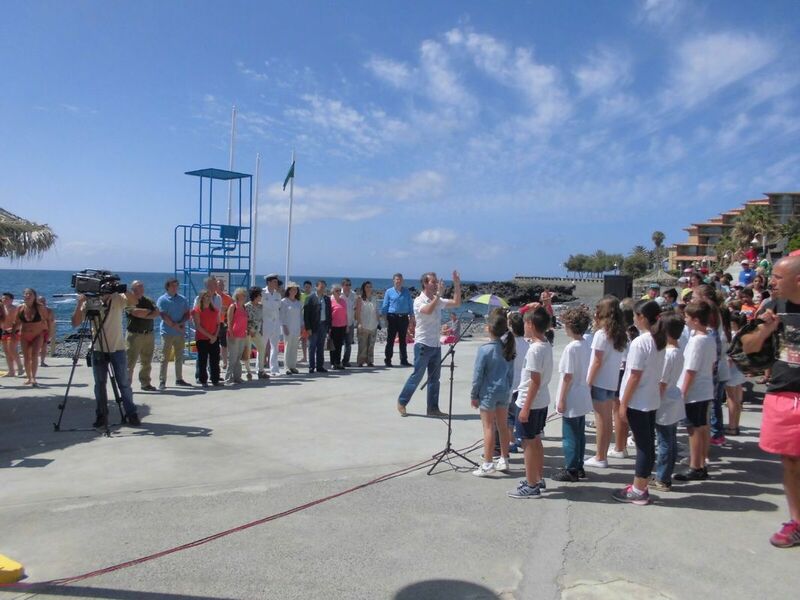 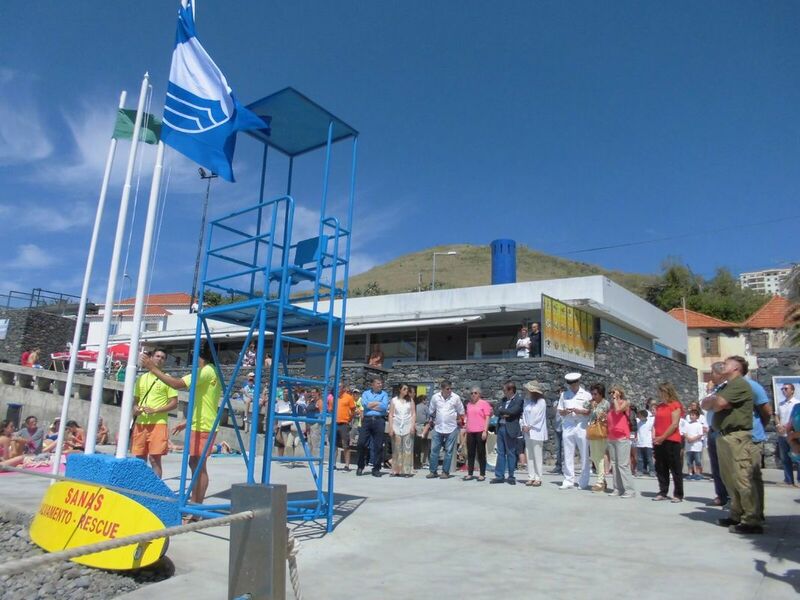 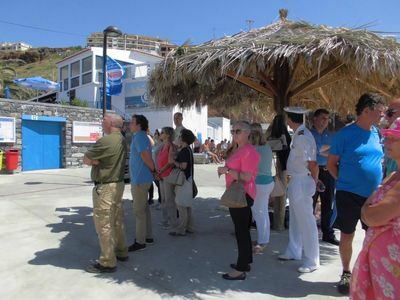 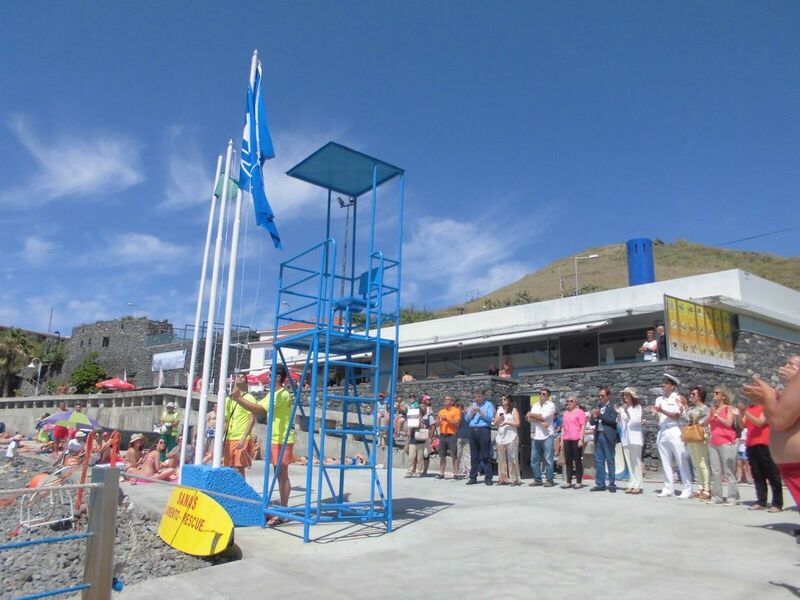 Afterwards, teachers and students took part in the blue flag hoisting ceremony, which was attended by the Municipal Councillors as well as the Regional Director for Territorial Planning and Environment, and some representatives of the Maritime Authority. 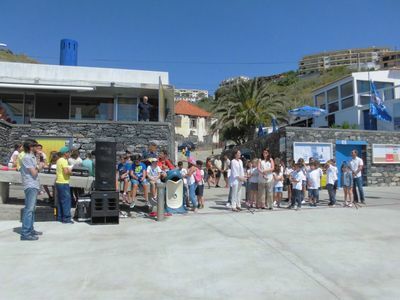 The children's lunch and snacks were offered by Four Views Oasis Hotel.